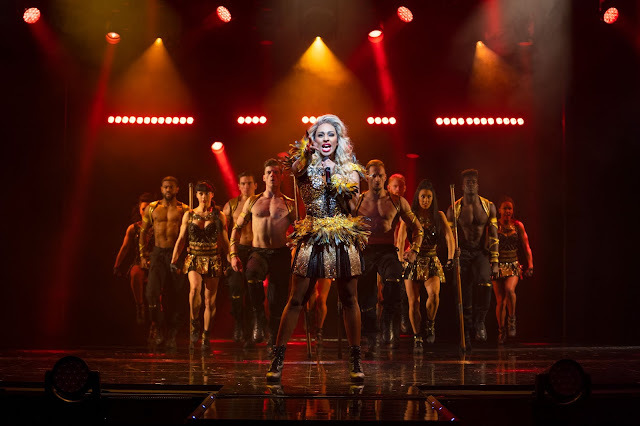 Last night we were given tickets to review The Bodyguard, starring Alexandra Burke, who we last saw in Sister Act, along with Benoit Marechal and Micha Richardson. The Bodyguard made its triumphant debut in the West End in 2014 launching Alexandra Burke's amazing theatre career and was followed by a sell-out tour in 2015 - 2016. As well as Sister Act, she has also since starred in Chess and Chicago. 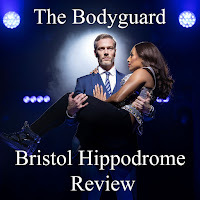 Benoit Marechal first starred in the French version of The Bodyguard and Micha Richardson has toured with Legally Blonde, Fame and Mamma Mia. Here's what we thought of the show. 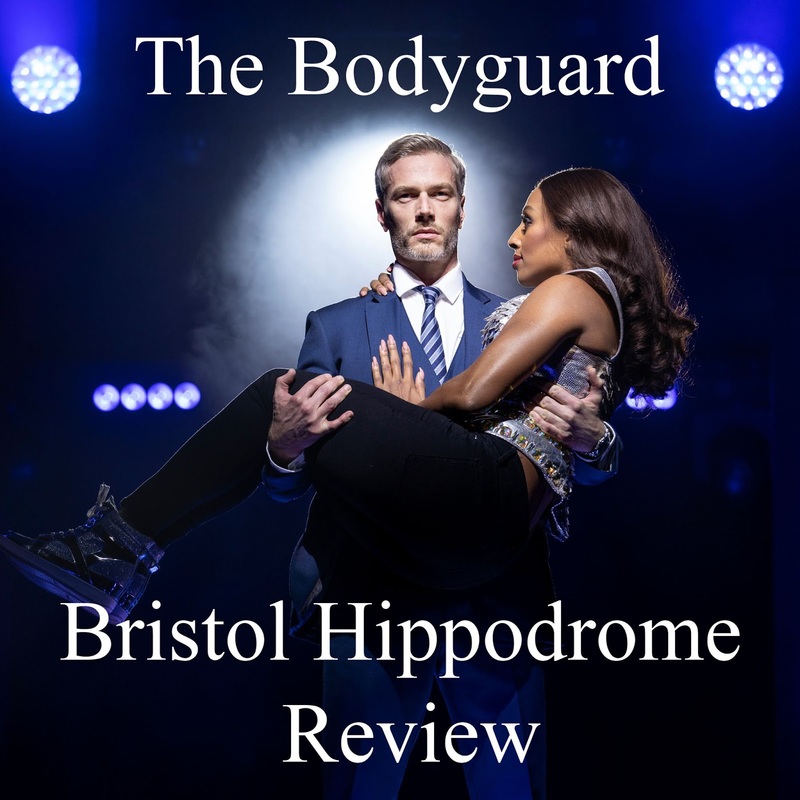 The Bodyguard begins with a bang and that is a strong theme throughout. I wouldn't say I was someone of a particularly delicate disposition (although I did watch Jurassic World, Fallen Kingdom through my fingers at the cinema!) but I found parts of the show actually scary. Parts of the show, especially the musical numbers, are considerably louder than the dialogue and there are many jump scares, so if this is something you are not keen on, may I suggest a good pair of ear defenders. It does create an incredible atmosphere, though, due in no small part to the menacing performance of Phil Atkinson as The Stalker and some pretty impressive special effects. I felt the level of threat was almost tangible for the audience at times, as we were cast into a world of crowded pop concerts and crazed fans via some clever stage direction. I felt Benoit Marechal captured the role of Frank Farmer really well. There was a chemistry between his character and Rachel Marron, yet he maintained an air of mystery that made his character believable. A surprise hit was Micha Richardson as Nikki. Her role seemed much more prominent than it was in the film and her emotional portrayal of the overlooked sister was strengthened by some amazing solo numbers. She had a beautiful voice and took on some powerful songs with ease. The cast were supported by a brilliant ensemble of talented dancers who, going by some of the whooping and cheering from audience members, were providing an element of eye candy, as well as perfectly choreographed dance moves. And of course, who could forget the adorable Fletcher, Rachel's young son. The actor (their are several who alternate for the role on different nights) captured the role perfectly and the addition of some pretty impressive dance routines to his role only added to his appeal. One question I was asking myself before we went was if it would make a difference if I'd already seen the film, but it really didn't. 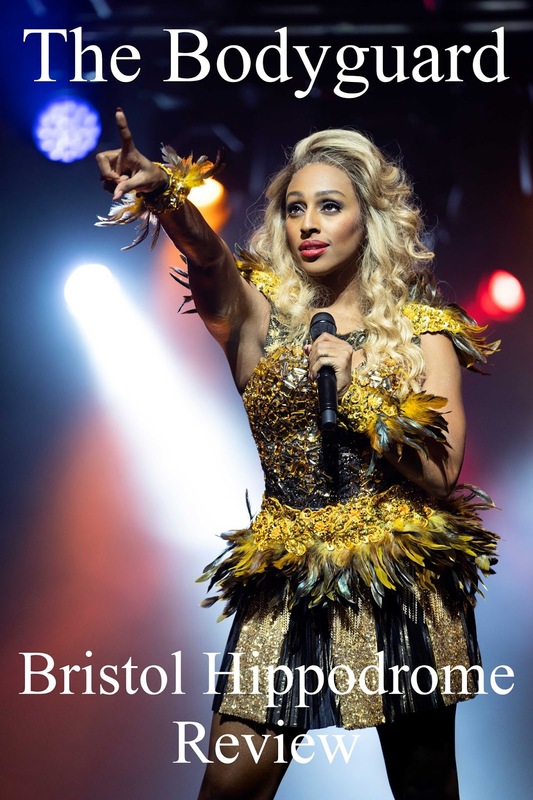 Firstly, Alexandra Burke does not try and copy Whitney Houston's performance in the film, she nails the same powerful notes and there are elements of similarity in her character, but she is very much her own person. There are also differences in the plot and even the aspects of the story that are familiar are staged in a different way, to offer a unique experience to the whole audience, even those who are big fans of the film. Actually, I would go so far as to say, even if you weren't a big fan of the film, even if you somehow thought the film was a bit 'meh', there are still a lot of reasons to see this show; the scary bits, the hilarious bits and, of course, the special effects, all make this performance well worth a look. You can book your seats via the ATG Tickets website and be prepared to laugh, cry and jump out of your seat a few times!